Neeta Lulla is one such celebrity designer that every girl knows. We have seen her work with many of Bollywood’s leading ladies, so why not turn to her on the day when you are the leading lady? 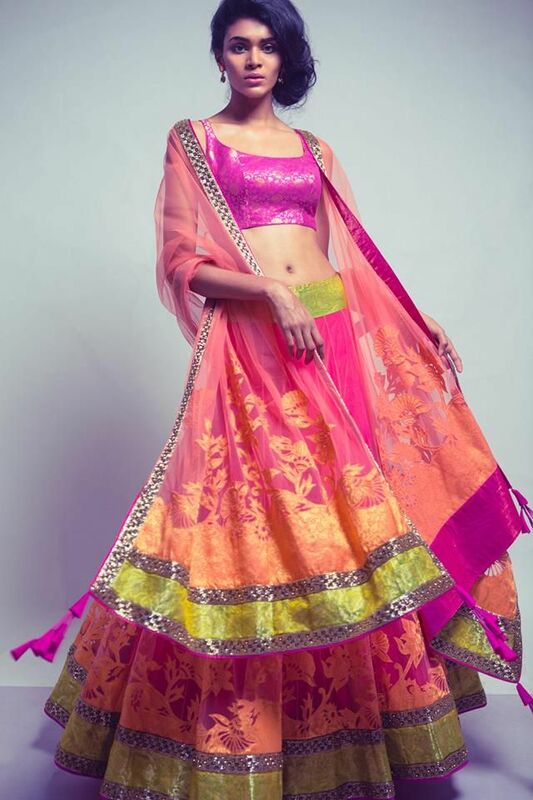 Neeta Lulla’s bridal lehengas are smashing hot, just like everything else she creates. I would swoon if I ever found out I could wear a Neeta Lulla for my wedding, so I can imagine all of you are just drooling waiting for our selection of Neeta Lulla’s creations. Her color palette is that of every traditional or modern bride. She focuses on the reds, pinks, gold and yellows but the way she plays with them makes the choice too difficult anyway. For a feminine bride, there’s no better choice than a Neeta Lulla. She plays with soft pink ghagras and pairs them up with gorgeous golden cholis to deliver that fantastic princess-like feel which every bride is dying to achieve. The gradient texture in the ghagras adds a certain elan which it takes a fashion savvy bride to pull off to perfection. She goes to town with the sparkling embellishments, adding grace and grandeur to your every move. My favorite is the duality of pink and orange which she creates with incredible ease. When she does away with her usual pinks and heads towards creams or even darker and deeper blues, she creates magic. Her method of pairing gold and cream with the slightest hints of red leave us with our jaws open. Those are extremely traditional colors, mind you, but the way Neeta Lulla puts them together it creates a different story every single time. If you are a bride who is lucky enough to be able to wear black on her wedding (because let’s face it, black is the most eternally beautiful color ever), you cannot give this Neeta Lulla lehenga a miss. No matter what your body type, Neeta Lulla has a choli for you. She has flowy, full sleeves and hot revealing cholis together. Her closed neck cholis with sheer sleeves are so beautiful and elegant! They are the best for those of us who are conscious about flab on our arms. Her best creation is a full sleeved, long kaftan which doubles up as a choli paired with a glaring orange ghagra. Stay tuned for more of our designer specials.